Haywater Cove Rosé, the newest member of the BOE family of wines, is a fresh, fruit-driven, light-bodied rosé that is the perfect refreshment for your warm summer days and nights. 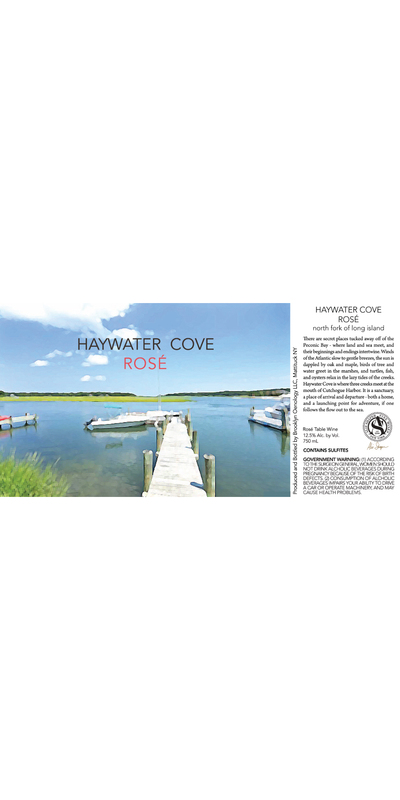 It's made from Cabernet Franc and Merlot grapes from North Fork vineyards, and is a tribute to the beautiful surrounds of Peconic Bay and the North Fork of Long Island Haywater Cove Rosé represents the treasure of our local growing season. Bouyant flavors of nectarines, strawberry, mandarin, and pineapple, with a zestiness that is still smooth. It's a perfect sipper for picnics on the dock, lounging on the boat, or at your next al fresco supper. 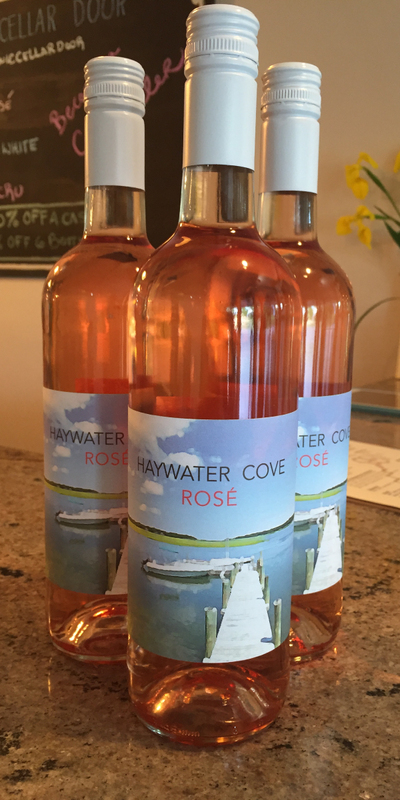 Reminiscent of Provencal rosés, Haywater Cove is a North Fork expression of everyone's favorite sea-side wine. Enjoy it cold, but not icy; sip on it with your fresh veggies and salads, or young sheeps or goats milk cheeses. It's also fun to use in cocktails, as a lunchtime sipper or evening aperatif, or to enjoy with fresh berries and fruits for an on-the-spot light sangria. All of the grapes were picked slightly early for the purpose of rosé production. Subsequently the grapes were destemmed, crushed, chilled, and cold-soaked for eight hours. The juice was pressed and passed into a stainless-steel tank for fermentation, and then the wine rested on its lees without stirring for four weeks in tank. Finally the wine was stabilized, rested in tank, and then bottled in Spring 2018.